What services are provided – establishing, enforcing and modifying support orders, medical support. Statement of support received with instructions. Affidavit and Request for Nondisclosure of Identifying Information. 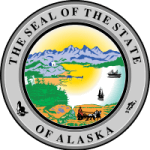 In order to get your child support statement you need to create an account on the website https://my.alaska.gov/ and login. III. You can find out PAYMENT OPTIONS on this page.